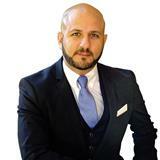 David Demian is a specialized REALTOR® working with new home and condo developers. Highly recommended both for his experience and extensive skill set, he is the go-to choice for new home and condo buyers in Edmonton. All buyers are provided with in-depth analysis of all properties and surrounding area, as well as, any additional information which may help in the buying decision. Technology is integrated from the start and throughout the buying process, giving clients real-time access to information at all hours of the day.